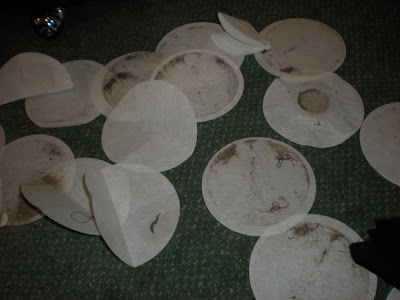 It's a Wonderful Life: Grit, Dust Mites and Feces ... Oh My! Grit, Dust Mites and Feces ... Oh My! Yep ... I got em! 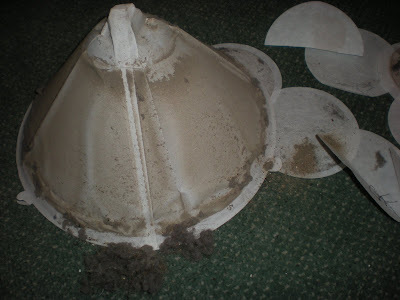 Grit, dust mites and feces all contained in my carpet. Rather sobering if you think about it. 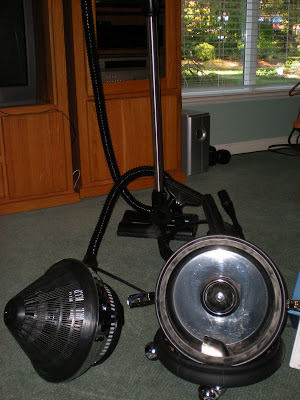 Today a young man ... a son of a friend ... came over to demonstrate the Filter Queen Majestic Vacuum System. He did a great job of pitching his wares, but I had to decline the $2,995 plus tax price tag. In an hour and a half he wowed me with this superior machine. First he used my central vac (apparently quite gutless) and went over a patch of carpet ... 52 swipes with my machine! Then over again 5 times with the Filter Queen power head. In 5 times AFTER my machine's effort to clean, he still pulled up grit, fluff, dust and stuff! I was impressed. I don't think that it was clever trickery with slight of hand ... I am convinced that the Filter Queen is really that good. In the end I felt bad that I couldn't hand over my credit card number and get me a shiny new one. But life and other expenses get in the way sometimes. No harm in writing it on my Wish List though! Thanks for your note on my blog. Yes, I was very impressed with the Filter Queen Majestic. Just a tad expensive just now. But I will start putting my extra pennies in the jar to purchase one in the future for sure.